Conventional wisdom figures transit agencies would naturally lean toward sustainability. After all, getting people out their cars and reducing their carbon footprint is a major selling point to many massive public works projects, especially in congested regions with progressive constituencies. 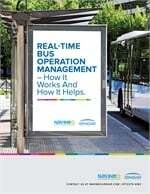 But often, the sustainability message from transit agencies does not fully realize the strategies to put efficiency, energy-reduction and environmental protection into practice. That’s a missed opportunity. Not only can sustainable practices help build public good will and political support, but efficient solutions can add substantial benefit to the bottom line. Considering big transit projects have a year lifespan up to 100 years, the dividends of doing the right thing can be enormous. The transit agencies that have been the most successful in incorporating sustainability have included very specific performance-based requirements into their design and bid process. RELATED: Green Projects Help Transit Be Sustainable Off the Road. This is not always easy. While offices and schools have had applicable standards such as the LEED rating systems for decades, relevant sustainability standards for tunneling a light rail line, or building a bus barn or creating a dedicated transit lane are in the early stages of development. Absent well-established and relevant sustainability standards, agencies must set reasonable, attainable goals. RFQs can include questions to contractors such as: What’s your plan to reduce construction-related emissions? How will you divert construction debris from landfills? Agencies can also set specific performance goals in the bid: projects shall source X percent of materials with recycled content, for example. But transit agencies must also recognize the real-life complications associated with overly prescriptive strategies. For example, they could mandate specific strategies to reduce construction equipment emissions through retrofits, use of biodiesel or other blended fuels. But agencies should understand that heavy equipment on jobs sites is often rented, or owned by subcontractors. The general contractor may not have the power or ability to fulfill these requirements. The goal for agencies is to clearly express sustainability performance targets without defining the means and methods of how to achieve those targets. And there are significant trade-offs, for both the contractor and the agency. On very large civil engineering projects, the carbon footprint of construction is substantial. To reduce climate pollution, one strategy is to reduce the cement content in the concrete mixes while maintaining the required structural performance. Fortunately, it is technically and chemically possible to reduce the amount of cement in a project, but that could potentially affect curing times. And that slows the schedule, potentially costing the contractor. In response to rising sustainability expectations, contractors are getting very savvy about all of this. Despite the addition of specific requirements and goals by agencies, the bids often come in remarkably close to each other as contractors sharpen their pencils, find innovative efficiencies, and make very precise estimates about time and materials. Again, the key to making this all work is being as specific and targeted as possible from the outset. Right now, there are lots of ideas, and a fair amount of trepidation. Lots of agencies want to be considered sustainability pioneers, but no one wants to risk failure. When it comes to incorporating sustainable practices into transit work, the old adage stays true: you can’t be first without taking risks. But as we grow more knowledgeable about the environmental impact of large transit projects, we will become more focused on specific ways to improve air and water quality and create a healthy legacy that will last as long as the life of the project, if not longer. The currency of these improvements is not only dollars and cents. Societal benefits can’t always be tallied on a spreadsheet or accountant’s ledger. But if we do nothing, if we continue business as usual, there will be a high cost indeed. And the public increasingly understands that the price of things doesn’t always include their cost in terms of their long-term health and quality of life. Transit agencies, given their mandate, have a particular responsibility to “walk the talk.” And given the size of their work, they have tremendous opportunities to do so. Read our METRO blog, "Transit service planning vital to community, ridership growth."